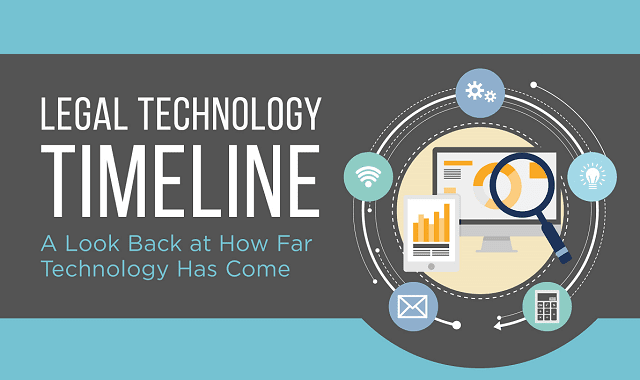 Legal Technology Timeline #Infographic ~ Visualistan '+g+"
Remember the first fax machine? Or the first personal computer and using it to word process? How about the first Blackberry? These are just a few of the many points listed on the timeline of legal technology that have had an impact on the legal industry. The timeline not only offers counsel a look back at technology to see how far we’ve come, it also underscores its ongoing importance to cut costs, increase efficiency and more.